Suv brings a truly urbane, open-minded sense to his musical productions. Never afraid to look into the past and routes seldom explored, Suv's Desert Rose EP kicked up a storm with its release. 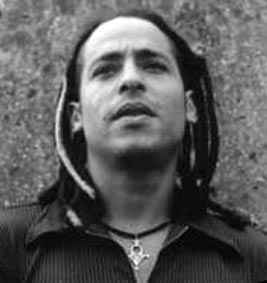 Borrowing influences from Latin, Brazilian, Hindu and Moroccan grooves, the EP was caned by everyone from the likes of Grooverider and Fabio to eclectic leftfield DJs like Gilles Peterson and John Peel, proving that good Drum n Bass can appeal to both the serious headz as well as anyone who appreciates good music. Mixing up these Asian and Flamenco-inspired themes with his trademark Bristol dubby sounds has definitely given Suv a new dimension - one that saw him follow up the EP with Follow The Sun. Like its precursor, the EP delves into uncharted territory in terms of fresh rhythms. On a more dancefloor-orientated front, Suv has been churning out a number of tracks that as always have made people sit up and pay attention. His single, Do You Remember Me, a release employing the vocal talents of New Zealand's MC Tali,guy calhoun on guitar and www.pianolaproductions.com miss melodie on flute has been causing some serious damage on dance floors worldwide up to this very day. When Suv's got time from his V Recording, Fullcycle, & Reprazent duties, he has his own label to work on called Playside. Playside releases represent the signature Suv sound that you'll hear in his DJ sets - these are tracks that may not fit the Fullcycle or V Recordings mould. As Suv as a DJ plays like no other DJ, his open mindedness and willingness to open peoples minds and play a wider range of music has made him the DJ producer he is today. Also available is this years summer hit SKY on Sidechain-Music. Check out www.djsuv.net to buy SUVMUSIC go to www.digital-tunes.net www.beaport.com ITunes etcSUV has curently hooked up with goodlooking soundtrax legend BIG BUD to combine the bristol fullcycle Suv sound with the smooth liquid flavors of big bid. SOL FOOD as it is tilted is out now . also in the manic time table of Suv he has been working with charitys and foundations to help and suport morrocan artist mixing and recording in the south of spain to again produce a fusion of trax with the andalucian sound and north africa.. check out Conexionarte.. world music with a new electronic flavor .once again mixing cultures and people together as this is a big part of Suv mission beleaving music is the first tounge of this planet . Also briefly MCed under the name of MC Rig-A-Dig.